In photos: Here’s proof that Kath and Ria are BFF goals! 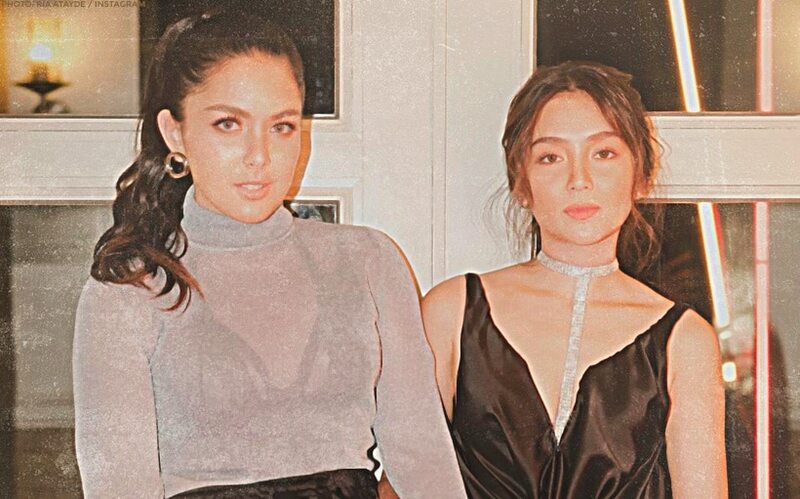 Since they've become co-stars in the hit romance-drama "The Hows of Us", Kathryn Bernardo and Ria Atayde have been inseparable, especially on Instagram. This led to Kathryn's Instagram post for her fellow actress. "I totally get this now, ‘Unexpected friendships are the best ones.’ ❤️"
To which Ria replied with, "What a pleasant surprise our friendship is. ✨"
In case you missed it, here are other KathRia moments that will make you cherish your girl friends even more. After “The Hows of Us,” Kathryn starred in the family drama “Three Words to Forever” alongside Sharon Cuneta and Richard Gomez. KathNiel’s squad shows us how to take the best group pics!